This is the first of two Canonets I own; I bought this one on a whim, having never seriously used a rangefinder camera. 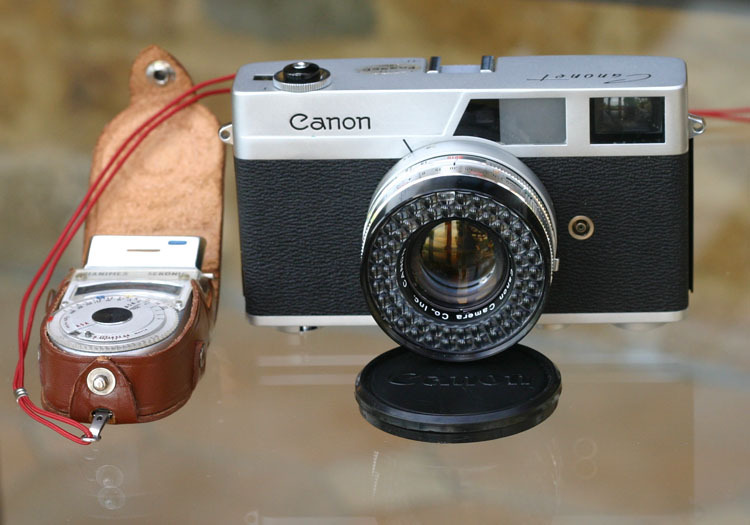 Whilst having a look on eBay for random shiny cameras, I spotted a few Canonets and thought they looked very nice — and were also cheap enough for an impulse buy! In the meantime I use it with a Hanimex Sekonic handheld light meter — my father was most amused when I showed it to him after it arrived, since it's exactly the same model he used to use with his Zenit SLR. But at least I know where mine is! Page last updated 3rd June, 2007.